Lavender is one of my favourite essential oils and one that we use literally every day. I have always loved the scent of lavender. It is also usually one of the first essential oils that people are introduced to. 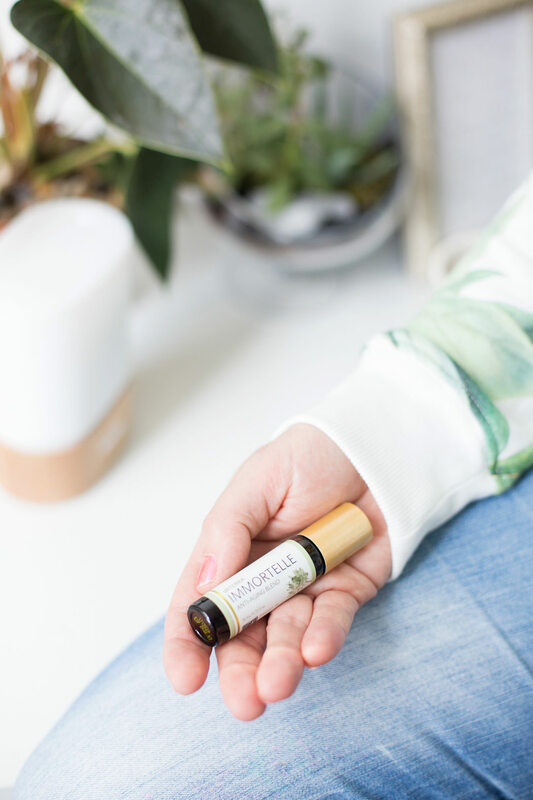 When I started using essential oils daily, I had no idea how many different ways that lavender essential oil can be used. There are over 150 documented uses of lavender essential oil. The scent is floral, light and powdery and has been cherished for centuries for its aroma and the countless benefits. 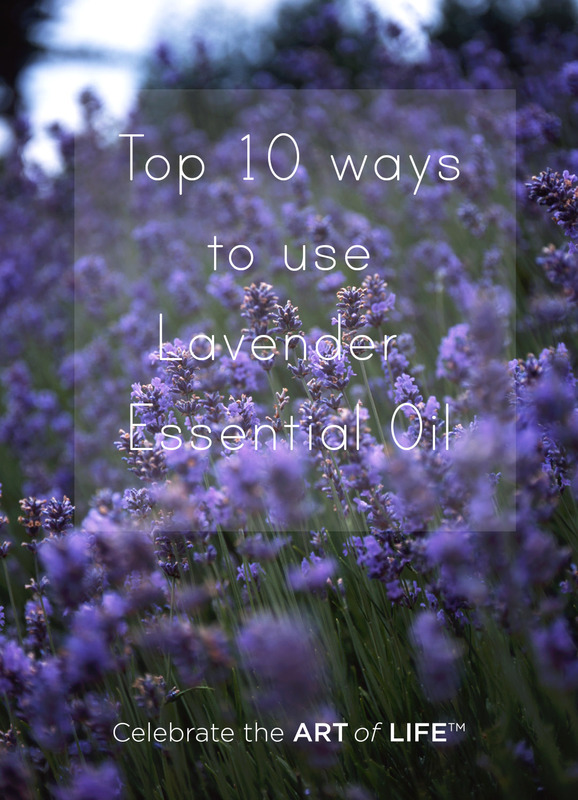 Here are my favourite top ten uses of lavender essential oil. Diffuse for a restful night sleep. 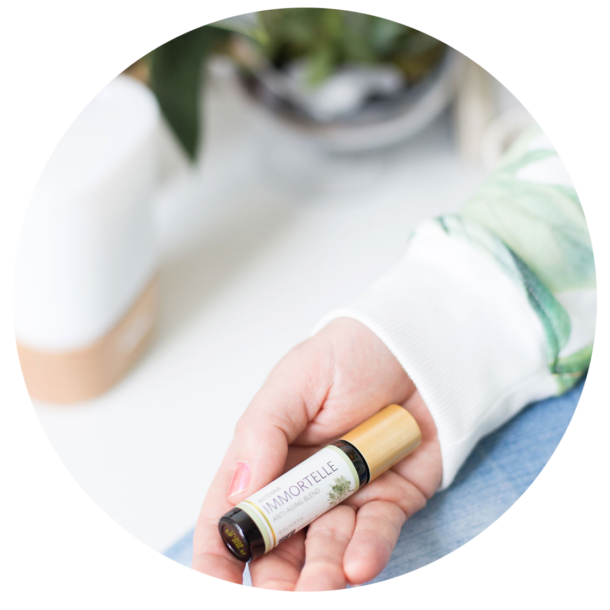 I love to diffuse two drops of lavender essential oil with two drops of cedarwood essential oil for an amazing night sleep. The combo of the floral and woody scents is just lovely! Put lavender oil on the bottom of your feet before bedtime to help promote a restful night sleep. I put both lavender and frankincense on the bottom of my feet every night before bed. I love this combo. Frankincense is a very grounding oil and blending this with lavender helps melt away the stresses of every day and calm the mind. Add lavender to an Epsom Salt bath. This practice has been used since ancient times. Add a few drops to bath water along with Epsom Salts for a relaxing and calming bath. This is also a wonderful way to help soothe aching muscles. Lavender relieves joint pain and sore muscles. Put a couple drops of lavender and a couple drops of frankincense in the palm of your hand. Dilute with fractionated coconut oil and then rub on areas where you are experiencing pain and inflammation. Lavender essential oil is known for its anti-inflammatory and analgesic properties and can help relieve pain and inflammation. Applying these oils topically for pain relief is a very effective and natural solution. This is the combo that I turn to relieve low back pain when it flares up. Help relieve dry skin. Mix lavender oil with a carrier oil and apply to dry skin. This is especially great in the winter and spring when my hands are dry and cracked. You can also just add a few drops to your favourite plant-based unscented moisturizer. Repel insects and soothe insect bites. Lavender has antibacterial properties and is used for irritation such as insect bites. Simply apply directly to the insect bite as needed to soothe itching and irritation. Use in cooking. Lavender is a beautiful essential oil to use in cooking. It is quite a fragrant oil, so you will want to be sure that you don’t add too much as to not overpower the recipe. Lavender Lemonade is a favourite at our house and we are working on perfecting our Lavender shortbread, so I’ll touch base later on that recipe. Use as a natural “purfume” on its own or add to a blend. And do yourself a favour and ditch all the toxic perfume. Your body and your skin will love you for it! Use for dry hair and to promote hair growth. Studies have shown that Lavender oil can help hair growth. I make a Mermaid spray with 30 drops Lavender, 30 drops Cedarwood, 20 drops Rosemary, 5 drops Geranium, 3.5 oz Witch Hazel. Add all drops and Witch Hazel to a 4 oz Glass Spray bottle and use daily or throughout the week.